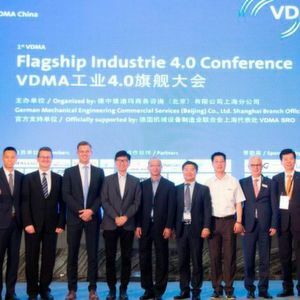 The first “VDMA Flagship Industry 4.0 Conference” concluded on June 13, 2018. A total of more than 200 experts, scholars and visitors gathered together to exchange and discuss the current status of the manufacturing industry development and the leading technology in Germany and China. On the first day, Dr. Mosch, director of the VDMA Industry 4.0 Conference and Mr. Wenzhe Guo from the OPC (Object Linking and Embedding for Process Control) foundation discussed the definition of industry 4.0 and the perspective of OPC UA (Unified Architecture) with the participants. Professor Ming Chen from Tongji University analysed the challenges of talent cultivation through the influence of industry 4.0 and Made in China 2025. In addition, Bosch Rexroth, Siemens and Phoenix Contact, as leading members of the VDMA industry 4.0, shared their views on how digitalization might affect the machinery manufacturing industry. 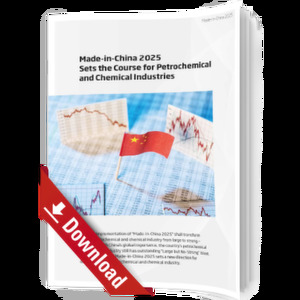 Can the ‘Made in China 2025’ herald a new dawn for Asia’s chemical and petrochemical industry? At present, what are the practical results of industry 4.0 in Germany? What are the problems? What is the biggest challenge Chinese enterprises face in the process of transformation and upgrading? What advice do you have for Chinese manufacturers? Are the products of local Chinese member companies certified by OPC UA? Does the OPC Foundation have any plans for Chinese companies to promote their product certification in future? How important is the OPC UA standard for made in China 2025? 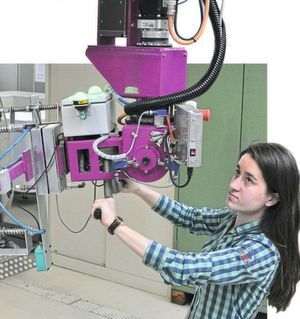 Nowadays, can the theoretical courses of universities meet the demands of modern enterprises for industry 4.0? Is it possible to recommend how companies can enhance their employees' skills in industry 4.0? The second day business meeting was divided into two sessions: smart factory and digitalization. In the morning, ten VDMA members – Wittenstein, Siemens, Krones, Werma , ifm, Beckhoff , Balluff, Freudenberg IT , Baumueller and Voith – presented various industry 4.0 solutions in different fields. In the afternoon, all the audience had in-depth one-on-one discussions with the ten VDMA enterprises in their booths or in the VIP meeting room. After the conference, we visited the professional audience of Chinese production companies to discuss the quality and content of the presentation and the expert discussions, such as the practical applicability of the topic and the social possibilities. The audience gave the conference a high reputation. 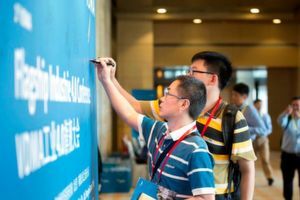 Most listeners said that the topic and content of this conference has some influence on the strategic promotion of Chinese companies in the future. The VDMA has always been committed to creating a platform for the German-Chinese mechanical engineering industry. The conference not only builds bridges for Chinese and German companies, but also provides a binding interpretation of Industry 4.0 and offers solutions for the transformation and upgrading of Chinese companies. In addition, it supports communication through personal business negotiations, helps to gain potential business opportunities and promotes existing relationships that also support "Made in China 2025". Industry 4.0 – What Happens to the Humans?